Below are call out rates for work carried out within the Dublin area only, outside of Dublin will cost extra depending on where you are based. The below prices include materials and parts as required however, actual rates may be higher if there are a significant amount of materials required to complete the work. If you have any questions just call 01-8949443. 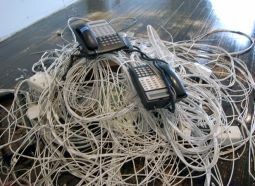 Need a new phone system for your business? Let us take care of everything from installing the electrical supply down to the type of on-hold music you want. Just call and we will do the rest.